Prostate cancer is the most common cancer in men. The early detection of changes to the prostate is the most important and a regular screening can save lives. Finally, the symptoms of prostate cancer are often only noticeable when the tumor has already reached a certain size. About 26% of all men are affected by prostate cancer during their lifetime, this type of cancer is the most common in men. In the case of every second man over 50, changes occur in the prostate over time, these can be harmless or not. The most common causes of prostate cancer include a poor diet, an advanced age, and a genetic predisposition. Thus benign and malignant changes of the prostate differ from each other. Not every change to the prostate is automatically malignant and thus classified as cancer. It can also be a benign alteration of the prostate gland. This may be problematic by gradually narrowing the urethra, but the cells do not grow uncontrolled and attack neither the lymph and other organs. Benign changes usually manifest themselves through specific symptoms such as a weaker urine stream and a more frequent urge to urinate. Malignant changes occur mostly in the outer zone of the prostate, far from the urethra, which may take until the tumor is discovered. Prostate tumors tend to spread over the nerve fibers into the lymphatics and lymph nodes and into the bones. Metastases can then arise in the bones, which can cause pain and bone fractures. Basically, as with all types of cancer and other diseases: the sooner they are discovered, the better they can be treated and the better the complete healing chances. It is important to know, however, that these symptoms are often only noticeable when the prostate carcinoma has already reached a certain size. Only then does it press on the urethra or causes other ailments. As long as the cancer is still in the prostate capsule, it can be cured by surgery. Even if it grows, there are still healing chances. With metastasis, life expectancy can still be ten years or more. 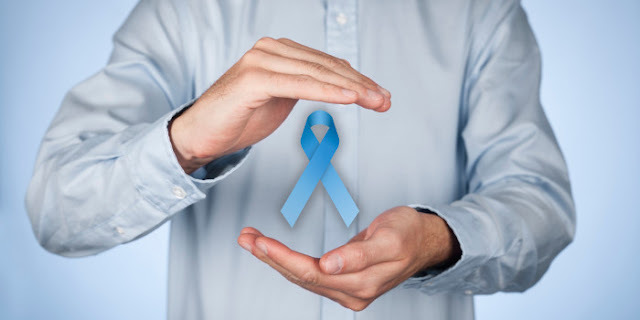 However, since 10% of all cancer deaths are attributable to prostate cancer in men, early detection is incredibly important and even in the case of the slightest discomfort, men should go to the doctor. From the age of 40 onwards regular care is also important, with which diseases can be recognized at an early stage. Although the number of diagnosed prostate cancer cases has increased for decades, the mortality rate has not increased. The 5-year survival rate a frequently used indicator for the survival probability of cancer patients - is 87% for prostate cancer.